Fourcultures has previously reviewed the work of Perri 6 , Professor of social policy at Nottingham Trent University. The Institutional Dynamics of Culture (which he edited with Gerald Mars) remains the most important compendium of sources on Mary Douglas’s cultural theory. His latest book is Explaining Political Judgement, which looks to be a very thorough explanation of the relevance of Cultural Theory to the kinds of decisions made during the Cuban Missile Crisis, and to the social sciences more generally. “Explaining political judgement” lays out a full specification of a neo-Durkheimian institutional theory of political judgement, emphasising its causal mechanisms as much as its typology. It argues that political judgement is best understood as a form of thought style, and it proposes a set of measures for capturing thought styles in political decision-making. These styles are best explained, it argues, by the work of informal institutions shaping the ways in which decision-makers are organised. Those institutions shape judgement by quotidian ritual processes in meetings and exchange of memoranda etc. 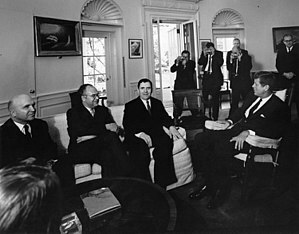 To make an illustrative case for the theory’s promise, plausibility and for its comparative merits over rival explanations in the social sciences, the book re-examines the evidence about decision-making by the US, Soviet and Cuban governments in the period immediately before and during the Cuban missile crisis of 1962. The case has been chosen to set the argument in direct comparative relationship with one of the great classics of the social sciences, Graham Allison’s “Essence of decision” (2nd edn, 1999, with Philip Zelikow). “Explaining political judgement” concludes with arguments about the prospects for the neo-Durkheimian approach generally.